As always, I am trying to cut down on eating a lot of potatoes. 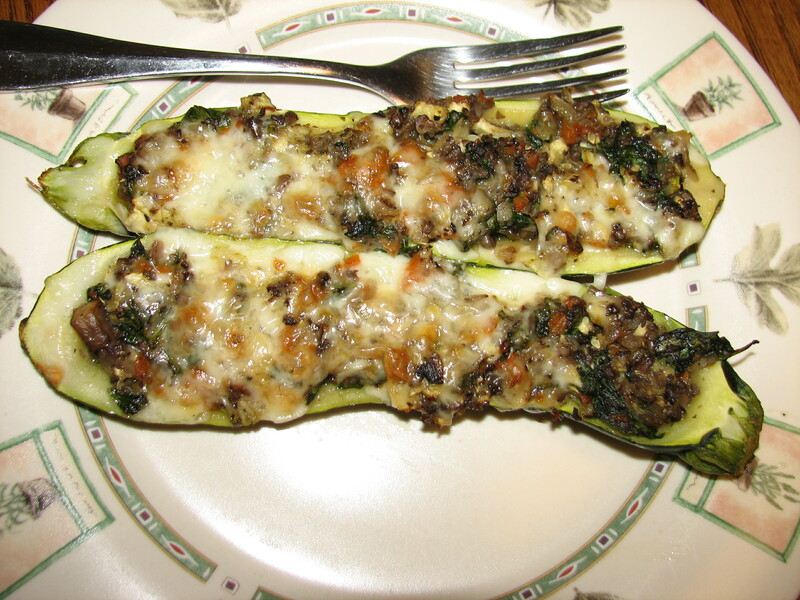 I came up with this recipe on one of my searches for good healthy food. 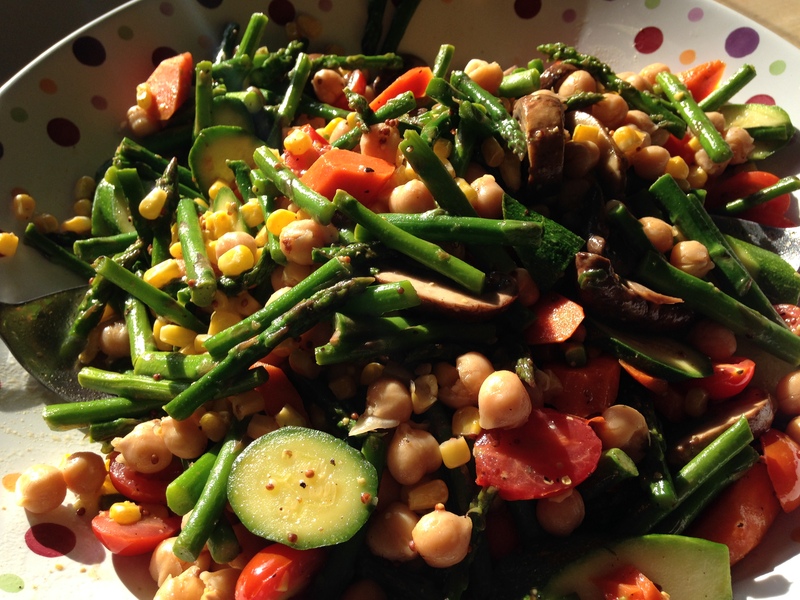 I found a recipe on the blog of “Joy the Baker” and I tweaked quite a bit of it as I wanted to be really careful with the fat content of this recipe and add more vegetables. I was shocked at how wonderful this recipe turned out. The first thing that popped in my mind is how warm and hearty this recipe is and what a great side dish or main dish for a Potluck or Thanksgiving dinner. 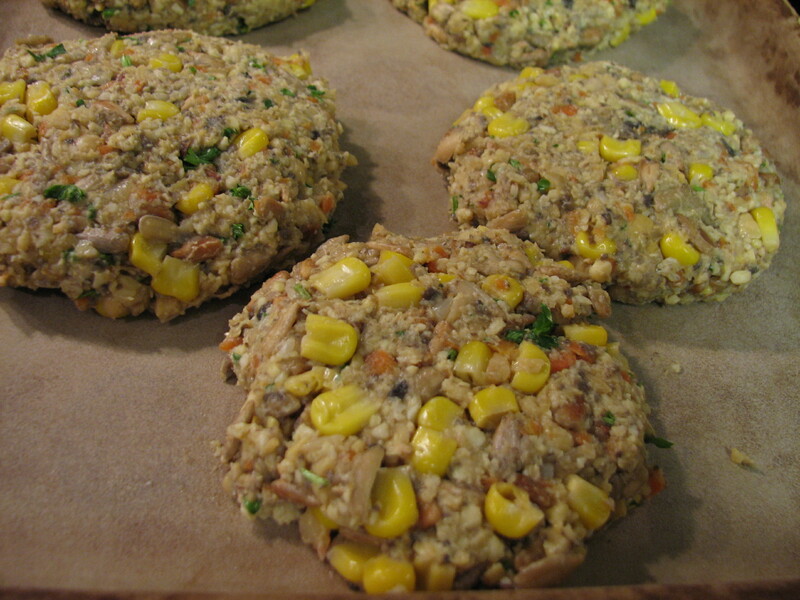 The original recipe used biscuits / dumplings; I chose Arrowhead Organic Herb Stuffing instead. 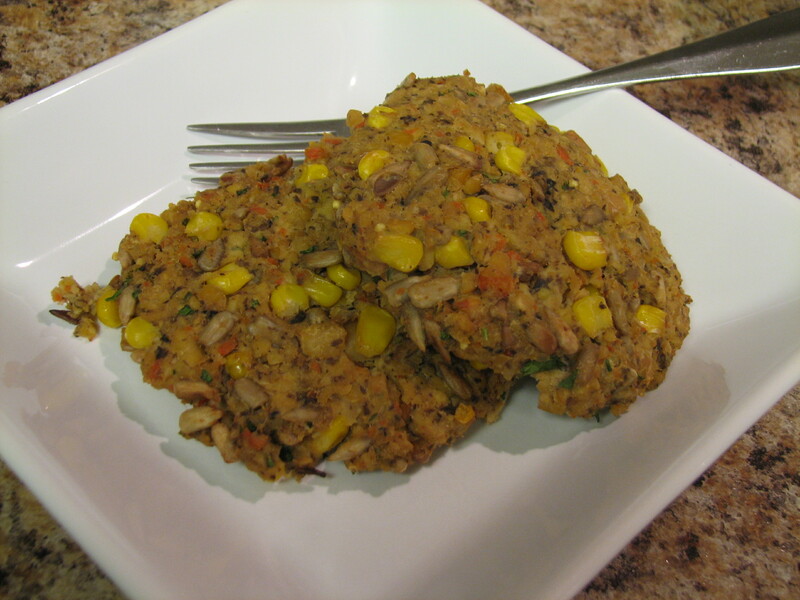 The stuffing had whole grain bread and lower carbohydrates than the biscuits. I imagine you can really use anything for a topping. Enjoy! Preheat the oven to 350 degrees. In a large pan, heat up the 2 tablespoons of olive oil over medium high heat. Add the mushrooms, season with salt and pepper and cook for about 8 to 10 minutes until the mushrooms begin to become soft and caramelized. Remove from the pan and set aside. Add the rest of the olive oil to the pan and add the onions and cook for about 5 minutes until the onions begin to soften. Add the garlic and cook for about a minute. 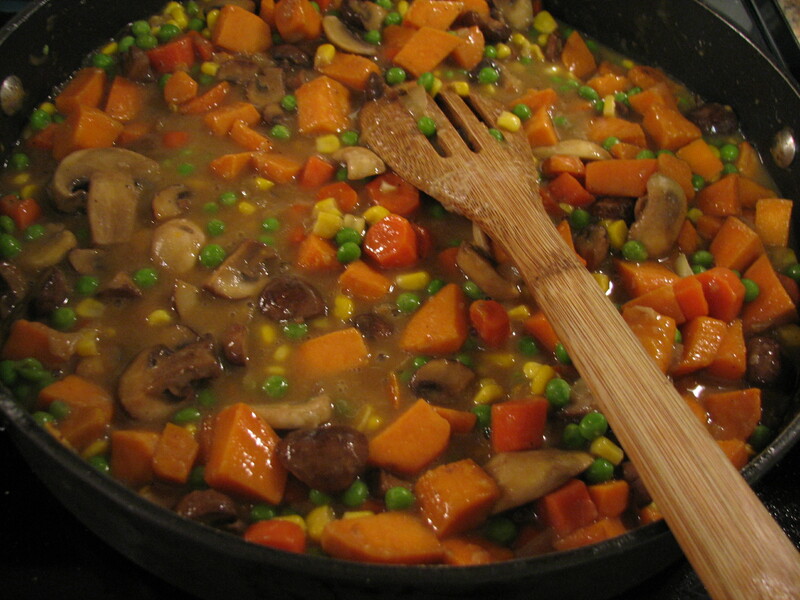 Add carrots and sweet potatoes and cook for about 8 to 10 minutes until the sweet potatoes and carrots are soft but firm. Be careful not to cook for a long time because the sweet potatoes will become mush. Add the cooked mushrooms back to the pan. Add the flour or corn starch and stir. 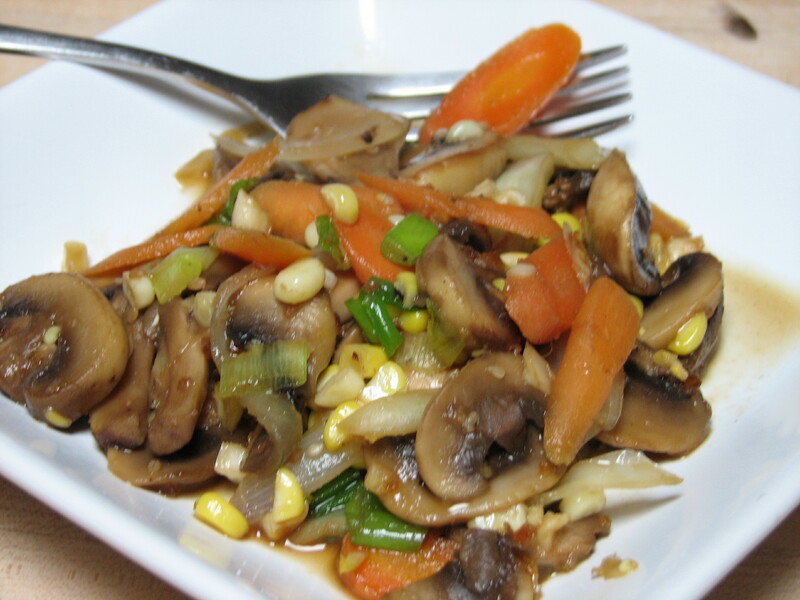 Cook the flour for about a minute and then add the 2 cups of mushroom broth to the filling slowly, stir until thickened. Add the peas and carrots. Season filling with salt and pepper to taste. Stir in the Balsamic vinegar and Worcestershire sauce and Thyme. Prepare the topping. 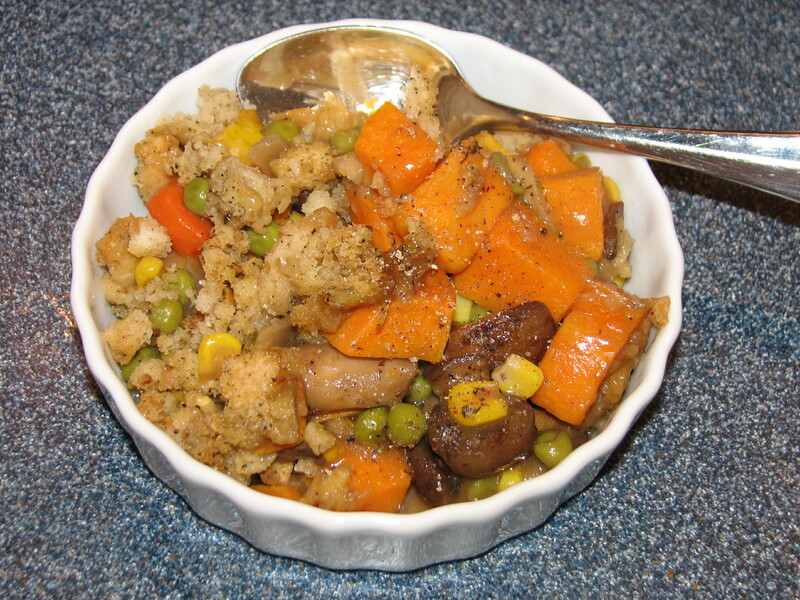 Put the herb stuffing in a bowl and toss with the balance of the mushroom broth. 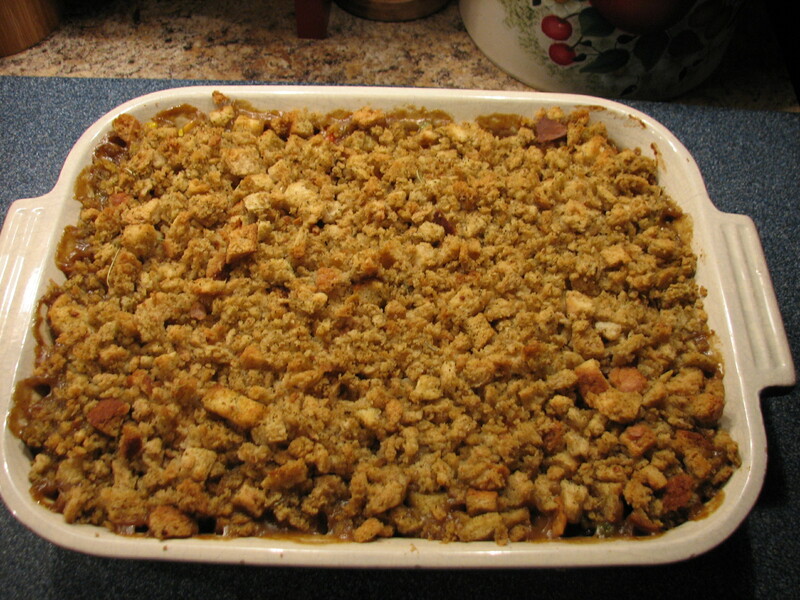 Mix well with a fork, the stuffing should be crumbly. 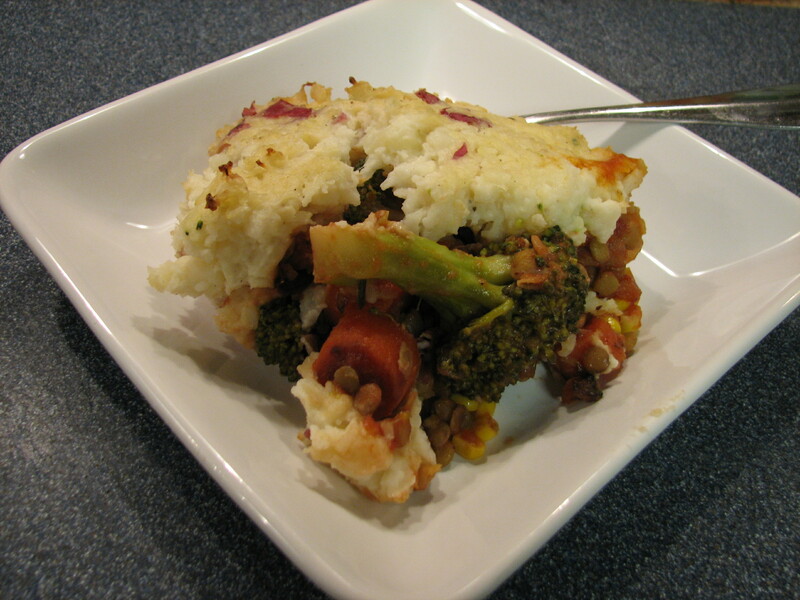 In a 9 x 13 pan, layer the mushroom and sweet potato filling and top with the stuffing. 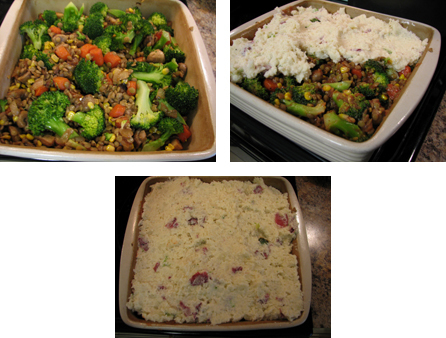 Lightly sprinkle the remaining olive oil so that you will get some crunchy effect when you bake the casserole. 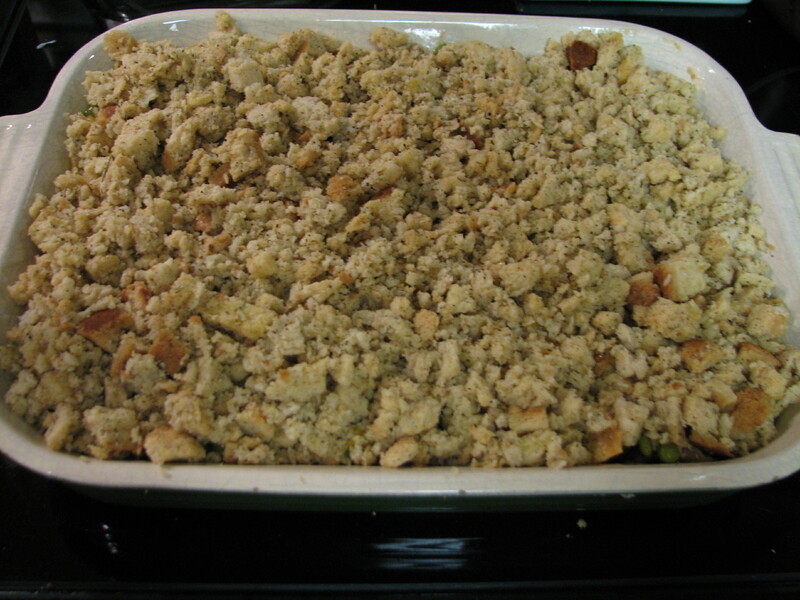 Bake casserole for 30 minutes until the mushroom broth is bubbly and seeping of the top of the stuffing. The stuffing should be a deep brown.